Headquartered in Fort Lauderdale, Florida, AutoNation, Inc., is America's largest automotive retailer. AutoNation owns and operates more than 270 new vehicle franchises in 15 states, with more than 25,000 employees. AutoNation offers a diversified range of automotive products and services, including new and used vehicles, automotive repair services, and automotive finance and insurance products. AutoNation has sold more than 9 million vehicles, the only auto retailer to achieve this milestone. AutoNation seeks to be the best-run, most profitable automotive retailer in the nation.Learn more at: autonation.com. The Customer Care Learning and Performance Team needed to create a brand environment that fostered superior customer satisfaction and retention with every interaction. To accomplish this goal, they needed engaging, consistent, and repeatable training that conveyed their brand and engaged learners in customer-focused simulations designed to emulate the AutoNation expectations for a peerless customer experience. This interactive elearning course provides engaging practice and simulations that define the Service Advisor role throughout the AutoNation Customer Care Service Process. There are eight comprehensive modules designed to guide the Service Advisor through the AutoNation way of delivering a peerless customer experience. This elearning solution provides many scenarios where Service Advisors make choices that impact their success in a simulated environment, allowing them to practice and prepare for real customer interactions. By the end of the course, learners are able to improve their performance of the Service Process to meet and exceed AutoNation’s Customer Care Standards. Need some design inspiration? 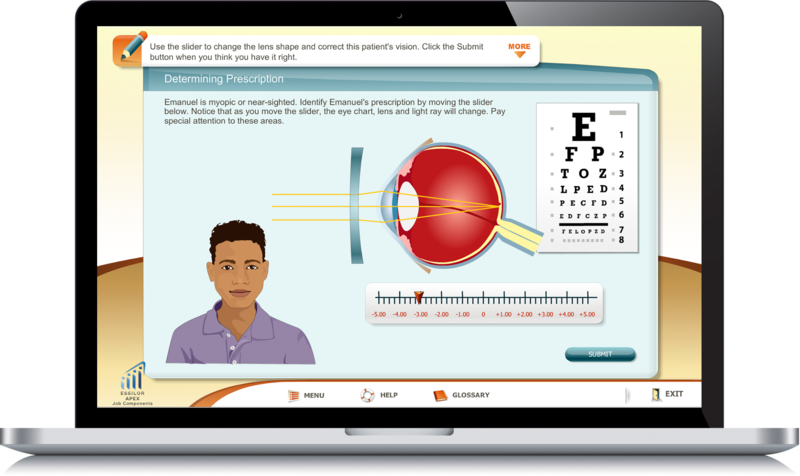 Check out our elearning demos!